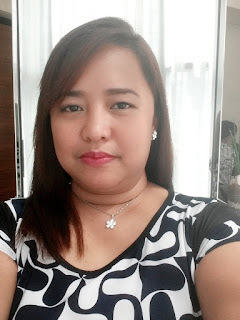 A few days ago, I found myself in the emergency room of The New Medical City accompanying my husband who was suffering from another urinary tract infection. We assumed that he was having an infection judging from the fact that he was feverish and that he was passing blood in his urine. The following day, armed with his laboratory test results, we visited a resident urologist in the same hospital and he was diagnosed to have a stone in his right kidney. The stone is relatively small at 0.38 centimeters. He will undergo extracorporeal shock wave lithotripsy (ESWL) to blast the stones so the blasted particles can easily pass through his ureters and out of his body. My husband's doctor told us that stones naturally form in our kidneys because of our diet. However, these stones should not grow big enough to block the ureters and cause infection and pain. The best way to prevent kidney stones is to stay away from salty food and drink lots of liquids. Back in 2006, when I started my battle with the bulge, I started to drink four glasses everyday before breakfast. This method is known as the "Four Glasses Therapy". It was not easy at first and I felt like throwing up but it got better once I got used to it. The ultimate goal of this therapy is cleansing and detoxification. Weight loss is only one of the effects of this detoxification process. If you are trying to lose weight do not have enough budget for a weight loss product, then this may be a better option for you. My mom, who also did this therapy and is still doing this up to now, noticed that it helped regulate her blood pressure and blood sugar. Nature has blessed us with organic materials for our general wellness. Water is the most common and, yet, the most overlooked among them. Maybe it's time you try water therapy too.